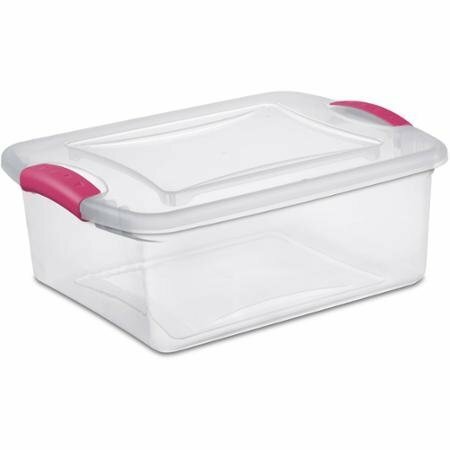 16.5 x 13 x 6.63 15 Quart Pink See-Through Base Heavy Duty Latch Box Fuchsia Burst - Case of 10 by STERILITE at Chat Central Huron. MPN: 1. Hurry! Limited time offer. Offer valid only while supplies last.